Q: Is there a way to keep track of all the pieces I tumble? I always seem to loose pieces in the stainless steel shot! A: Our answer comes in form of a tip from Wubbers University instructor Heidy Henke. Save time when tumbling multiple pieces by wiring them together with scrap wire before adding them to the tumbler. They will be much easier to find in the shot. 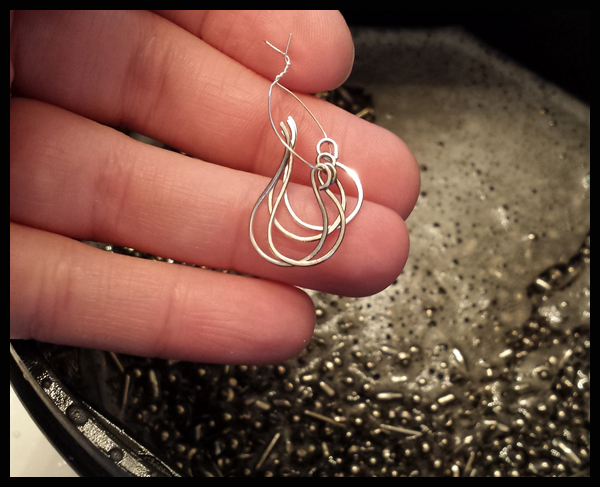 This works with earwires, beads, or any other component with a hole.